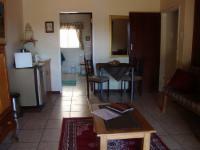 Eilandhuis is situated in Lyttelton, a charming suburb of the greater Centurion, in Gauteng.The accommodation comprises of an open-plan unit, which features a double bed, a full bathroom, a kitchenette with laundry amenities, a two-seater dining table, and a quaint lounge with selected DStv. The abode also offers guests braai facilities, Wi-Fi Internet access, and safe, undercover parking on the premises.Guests can enjoy many great attractions in and around the area, including The Els Club at Copperleaf, the SuperSport Park, and The Rietvlei Nature Reserve. We require a R100 key deposit on arrival, which is refundable at the end of the stay. 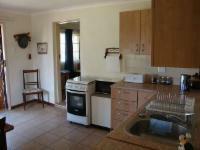 Goosen se Grot Sleeps 1 Includes: Self-catering Not available any more. Ronel and her parents were very friendly. We had a lovely stay and will definitely make use of Eilandhuis again! Location was great for a business meeting in centurion. Hosts were super accommodating. Place was quaint and clean. Very safe and will definitely recommend and visit again. Our hosts were absolutely wonderful and attentive and ensured that we were comfortable. I will definitely stay there again. The only real dog friendly accommodation I have stayed at. Excellent service Ronel. Our stay was a pleasant experience. The owners was very friendly and we really felt welcome. 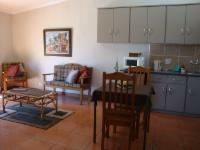 Lyttelton Eilandhuis is 4.5km from the centre of Centurion , the nearest airport 1.2km (Waterkloof AFB Airport).